With Veganuary just around the corner, I've been making an effort to prepare my family to depend a little less on meat when it comes to meal times....we tried and failed to join in with Veganuary last year and I'm determined to do better in 2018! I've often wanted to be able to cut meat out of our diets not just for animal cruelty reasons but also because it's so expensive...I find the price of our weekly shop cuts down dramatically just by eating meat only twice a week, so cutting it out altogether would no doubt save the purse strings even more. 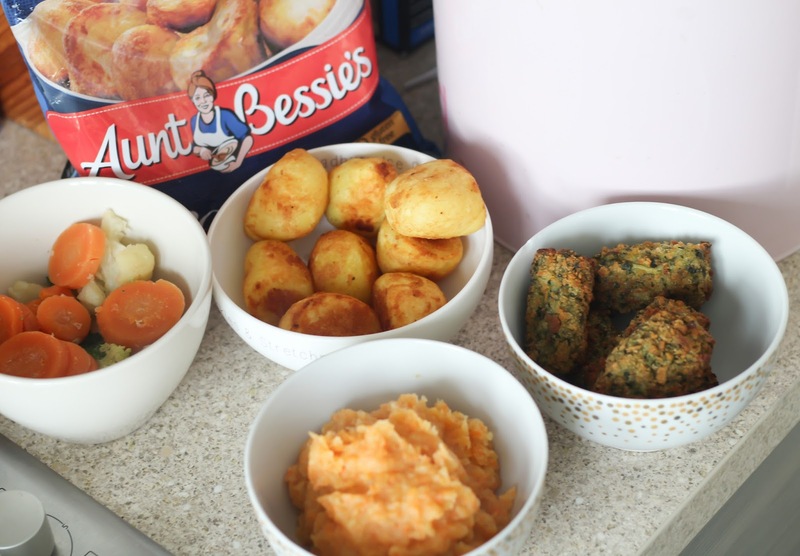 When Mumsnet & Aunt Bessies challenged me to come up with a Vegetarian Roast dinner - I have to admit, I panicked! I can make meat free pasta and rice dishes with no problem at all, but roast dinners are the one thing I have always struggled with...infact I managed almost a year as a vegetarian when I was a teenager but it was Christmas dinner that spoiled it all for me and got me back on to meat, because I just couldn't imagine a roast dinner without meat! My first thought of course was "Ok fine, we'll try a nut roast! "...but I knew my little boys would never eat something like that and I have to admit, it's never sounded that appetising to me either. So I did what I always do when I'm in need of meal inspiration and got straight onto good old Pinterest! Much to my surprise, instead of struggling for ideas of what to use instead of meat...I ended up spoiled for choice! It came down to a choice between two delicious sounding Veggie roast dinner centre pieces...a roasted caulifower rubbed with paprika and garlic (which I am determined to try another time!) or butternut squash and spinach croquettes. As my boys already love potato croquettes, I knew they'd be more likely to try the latter so thats what we went for. 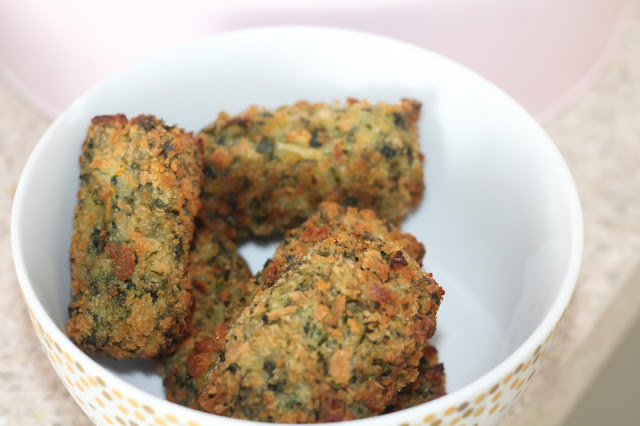 Now I'm no Delia Smith but even I found the croquettes really simple to prepare...they were simply mashed butternut squash and spinach tossed with some garlic and seasoning, rolled into croquettes and covered with breadcrumbs and parsley...and they were DELICIOUS. They had enough chew to them to be a perfect meat replacement on our roast dinner, and I was delighted to find that not one of us missed the meat....even Jon who is usually the biggest carnivore of us all said he thoroughly enjoyed it! One real plus point to going meat free for our roast dinner was that it was ready in record time! No waiting for meat to cook through - the croquettes were ready in under 40 minutes! 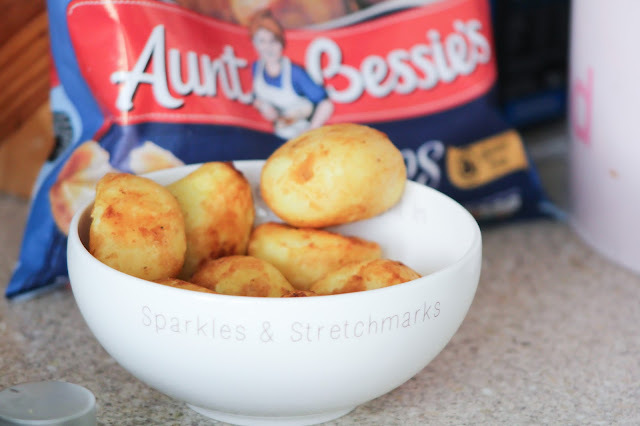 This is where Aunt Bessie's Crispy Homestyle Roast Potatoes came in really handy....instead of spending half an hour peeling, chopping and parboiling potatoes I just tossed these in alongside the croquettes and they were ready in 25 minutes! Ideal! 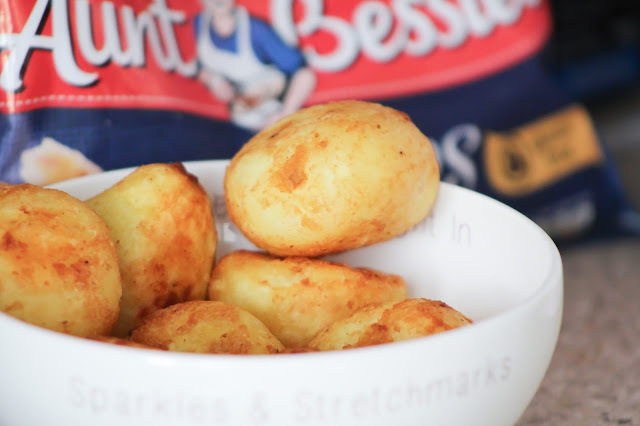 Jon was surprised to find that the Aunt Bessie's Crispy Homestyle Roast Potatoes were also vegetarian friendly and gluten free too....a winner no matter who you have coming for dinner! 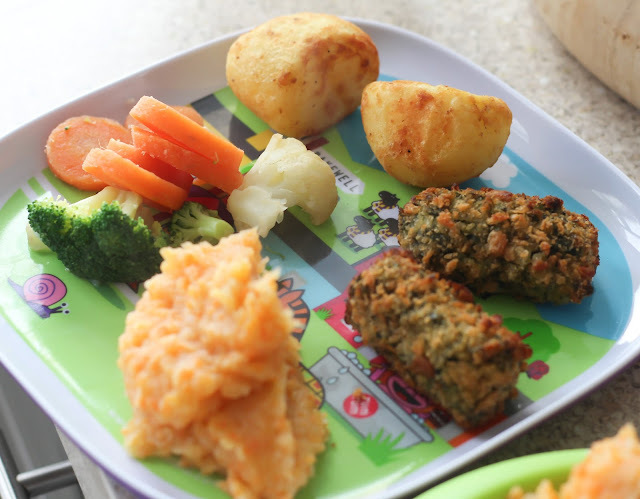 I'm thrilled with the results of our Meat Free Roast Dinner Challenge - bring on Veganuary! Disclaimer: I am a member of the Mumsnet Bloggers Panel, a group of parent bloggers who have volunteered to review products, services, events and brands for Mumsnet. I have editorial control and retain full editorial integrity. A fee has been received for this post.